Fans of the show say they enjoy it for the unusual storyline that provokes questions about the developing role of virtual worlds in our lives going forward, while non-fans say the show is marred by too many cardboard characters, too much lazy, hackneyed writing and ultra-convenient plot devices to capitalize on its potential. The percentage of viewers who think that both interpretations are actually kind of right, depending on how you look at it, was not deemed statistically significant. According to researchers, when trapped in an elevator, people from different ideological camps will usually—eventually—realize that they have more in common than not. “At some point, no matter what moral conflict you’re dealing with, the conversation becomes about the shared love they have for their families and legitimate concern for the future, rather than any particular dogma or creed,” said a researcher who did not wish to be named because he illegally traps people in elevators for science. 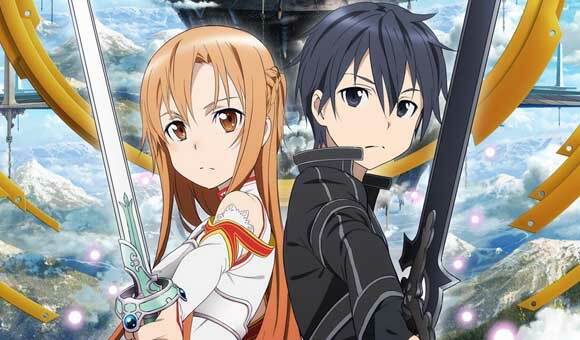 “With SAO viewers though, they would always talk about whether or not Kirito was really a “Gary Stu” character, then that changed into an argument about whether or not Mary Sue is even a valid concept anymore in criticism outside of fanfiction, or is it maybe just sexist balderdash, and then it turned to something about what the accusation of plot-device-as-character reveals about the accuser, and so on,” said the befuddled scientist. “By the time we retrieved them, weak with the beginnings of starvation, they were just arguing about arguing. To be fair, the discussion had taken on a calmer, more philosophical tone at that point, but that could have just been due to the lack of oxygen,” he concluded. Questions have already surfaced about the impartiality of the study; according to a source at the Internet figure shop Ami Ami, several of the scientists involved have pre-ordered the recently announced Asuna Nendoroid. A spokesman for the research center declined comment on whether or not the accusations of Asuna Waifu behavior were valid, but did note that the fact that SAO viewers have their heads jammed so incredibly far up their asses was not a situation that could likely be affected by the purchase of any particular Good Smile product. “By the time we retrieved them, weak with the beginnings of starvation, they were just arguing about arguing. To be fair, the discussion had taken on a calmer, more philosophical tone at that point, but that could have just been due to the lack of oxygen,” Yup, this is pretty much exactly how it works.